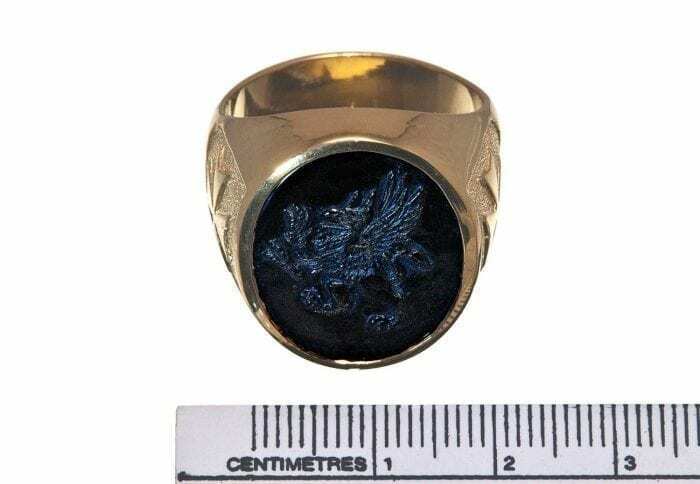 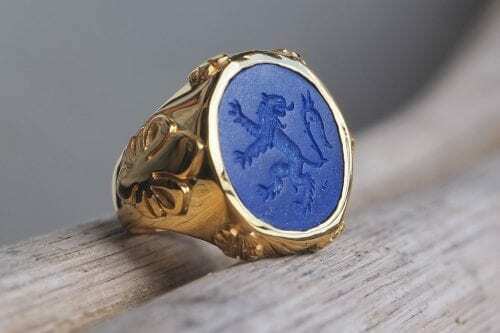 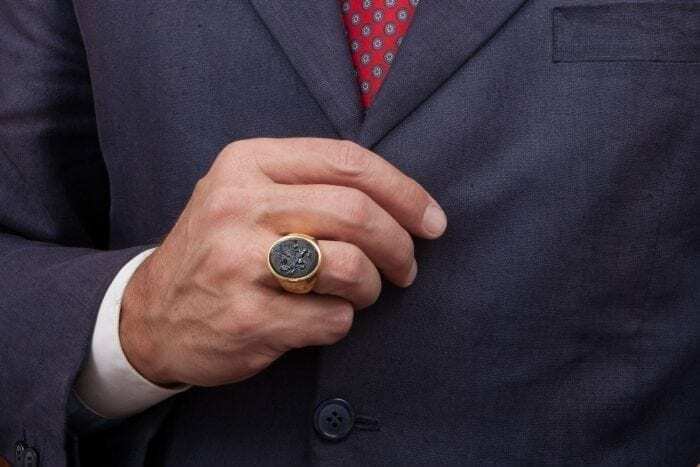 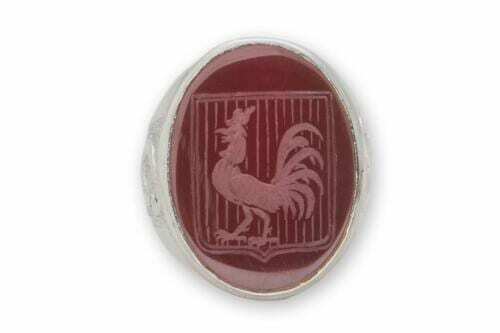 A heraldic griffin family crest has been expertly sculpted to a piece of genuine black onyx to create this spectacular man’s crested signet ring. 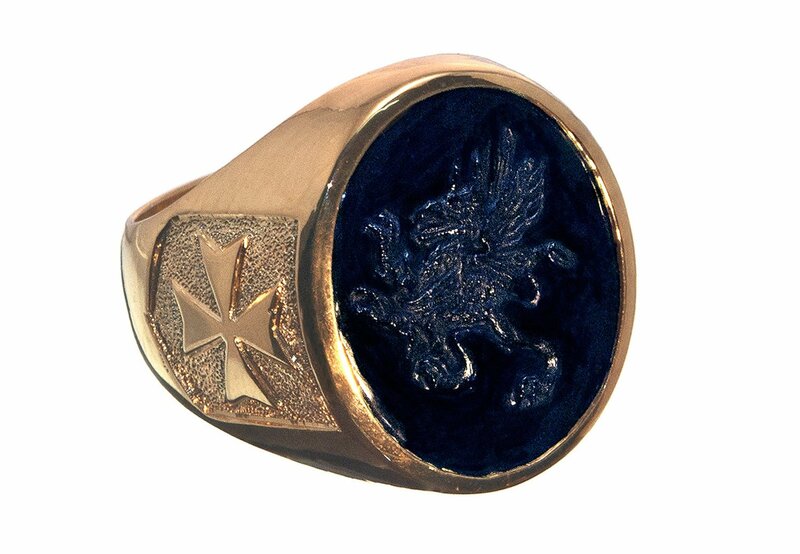 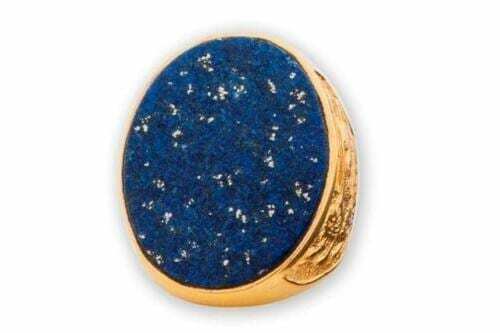 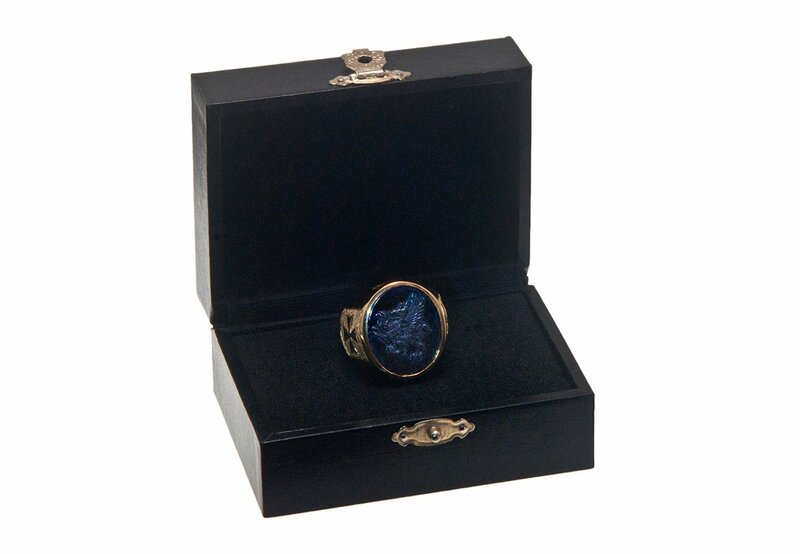 The oval is mounted to a gold plated (5 Microns 18K Gold) sterling silver chassis which feature maltese cross shoulders. 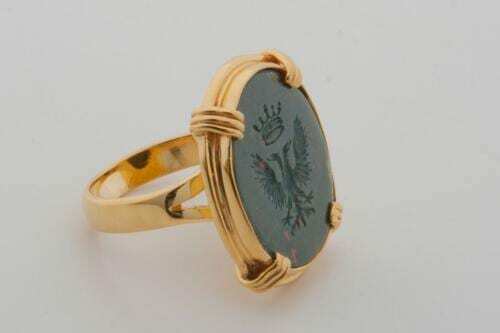 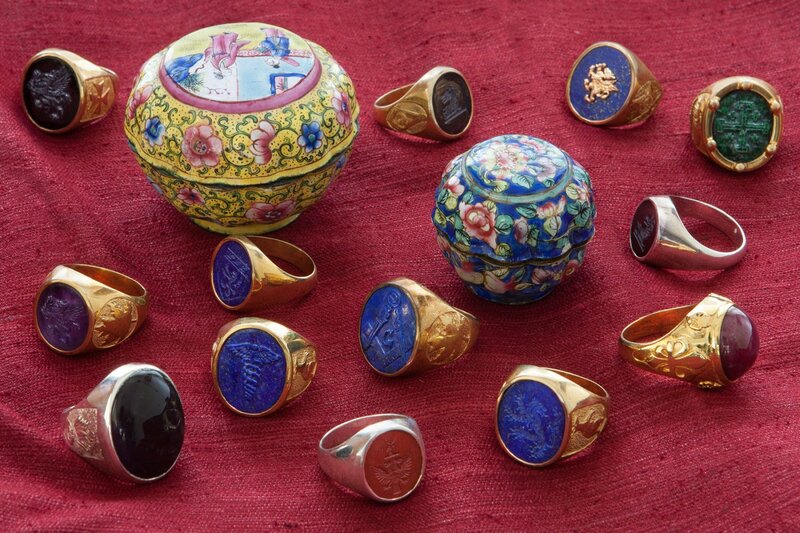 Excellent seller, above and beyond service, beautiful ring, great attention to detail.